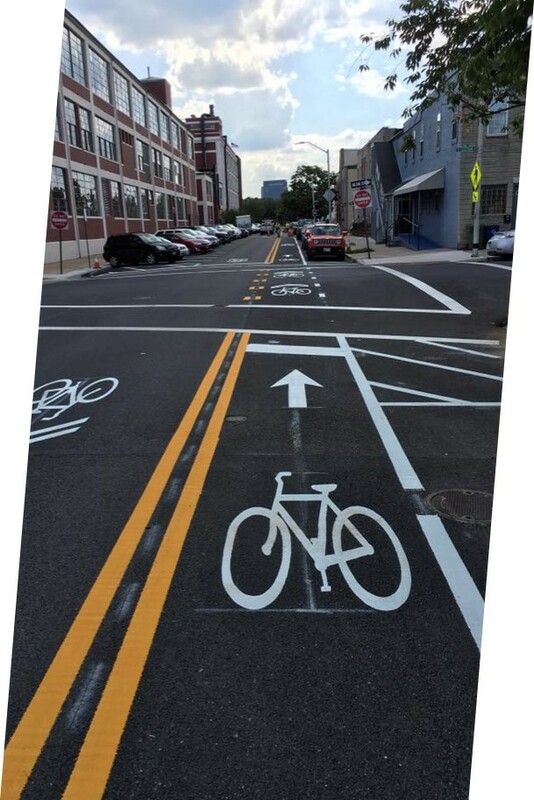 The Covington Street Cycle Track and Bike Boulevard will provide a direct two-way bicycle connection between the Inner Harbor and Riverside Park. A two-way cycle track will be installed on Covington Street between Key Highway and Cross St. Bike Boulevard Treatments including sharrows and signage will be installed between E Cross St and E Randall Street with a contraflow bike lane on the section of Covington Street between Gittings Street and E Clement Street to allow bicycles to go north on what is a one-way southbound section. This will connect the Gwynns Fall’s Trail extension that is currently under construction to facilities on Fort Avenue and bike friendly pathways within Riverside Park.